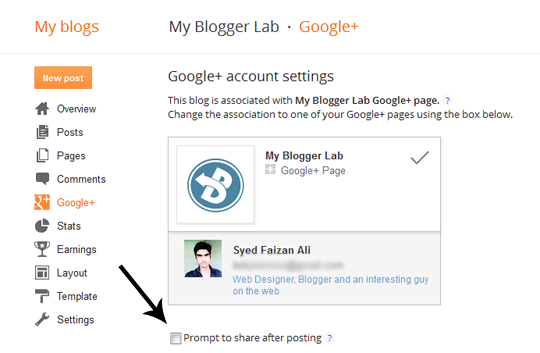 If you have connected your blogger account with your Google+ Profile then, after publishing a new post or updating an existing one you probably see a pre-filled Google+ share box having the details of your post. Perhaps, it is the most trustworthy way to share your content on your Google+ profile, but it also has some setbacks. Whenever you will edit any of your pre-existing posts, after updating them it would keep on prompting the Google+ share box. Whether you edit a post one time or thousand times, it would continue to prompt the share box every time you press the update button. 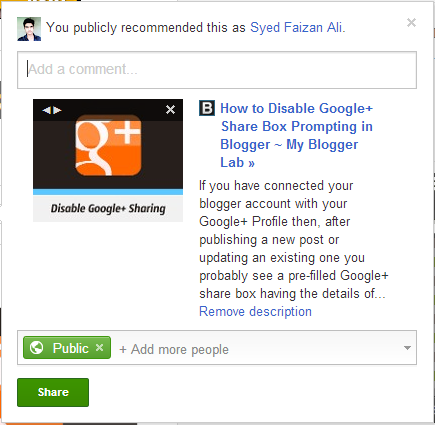 Therefore, today in this article, we will show you How to Disable Google+ Share Box Prompt in Blogger? The solution to this annoying problem is quite straightforward. No, there is no need to revoke your Google+ connection with your Blogger account because you can simply turn off the shearing box prompts. The first thing you need to do is to Login into your Blogger account. After logging in, Go to your site >> Google plus. It will take you to Google+ account setting. Just uncheck the box present besides the “Prompt to share after posting”. That’s all, now whenever you will publish a new post or edit an old article it would prevent you from prompt the annoying sharing box. For more descriptive explanation, see through the following screenshot. 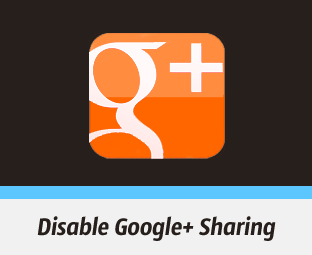 We hope that this article facilitated you in getting rid of annoying Google+ sharing box. If you have something to add or opinions on this topic, then we would not stop you from commenting. The below comment box is all yours feel free to share your voice. well dear when i am sharing the post there is no desvription of the post. sort out this problem. So when the 'prompt to share after posting' is unchecked does it just post automatically without prompting? That's what I'd like to do. Did you write the description for the post inside post editor. answer me if you have done the same then i will give a piece of code insert that in template and then you will see the description for each post in google plus and in facebook. Yep, your posts gets published automatically without prompting. yes i have given, but it is not showing, when i share only the title is there nothing else.